When people (often people without much money) give to a church or a Christian ministry they expect that their donations will be used for legitimate charitable purposes and for telling others about the love of Christ. They do not expect that their donations will be used for expensive frivolous gifts to pals of the pastor or people who the pastor is attempting to influence in some way. Amen, sister! I attended HBC in Rolling Meadows for 5 years (not as long as most) and tithed all 5 years. Is it biblical to take a brother(s)-in-Christ to court in a class action lawsuit to get all our sincerely given donations/tithes returned to us? I don’t know about you, but I would LOVE to give all the Lord’s money to my current church and other truly Godly ministries. Jesus pointed out the woman in the temple who gave the two mites – all that she had. Do you think He knows where each penny we all gave to HBC and its ministries are? I think I’ve answered that question. I only pray that someone connected to the finances at Harvest made copies of EVERY SINGLE PENNY and WHERE THEY WENT! Heavenly Father, please help us! Have mercy on us! You can run James…but you can’t hide…from the eyes of Him who holds all of us accountable…including you. You gave the money in good faith. Harvest and JMac will give account to God for how they spent it. Suing is wrong, a waste of time and money. Have been praying nearly every day for months that God will expose hidden things across the American evangelical scene so that those hiding their sins will repent. And those being fleeced will flee and find the real Jesus. Julie, your reporting helps keep our prayer focused so thank you. God is patient, but the time comes when he will hold each one accountable. The hour grows exceedingly late. Wow… I would refrain from calling Ed a Pastor. He surely is not above reproach. As someone who used to attend “highpoint” or Harvest Naperville I honestly don’t know how any of them can call themselves Pastors.. Ron.. Ed.. I went for years and my Pastor did not know I existed. Most people would think it beyond odd if somebody gave them a gift valued at nearly $13,000. The fact that supposedly Stetzer saw nothing odd about this until reading the reports about Harvest finances makes one guess that he must have had a very cozy relationship with MacDonald. Very cozy indeed. Stetzer has steadfastly refused to acknowledge any and all queries about Harvest and the MacDonald scandals / Christianity Today scandals and even blocked some on social media for asking about them. In my opinion Stetzer’s claims to not have known about MacDonald’s character or his handling of church finances are not credible. This is a situation where he either knew or should have known, and at the very least, he shouldn’t be so closely buddied-up with a pastor living a multi-millionaire lifestyle. That isn’t scandalous in itself and brings reproach on the church, and Stetzer not only stood by watching but gave approval to MacDonald for doing it by accepting gifts, accepting paid speaking engagements from MacDonald, and facilitating the positive coverage MacDonald has received from Christianity Today. It looks like he was trying to cover his tracks in the event all these secrets came out. How many people did Macdonald pay off or give gifts too? Police, people of influence, etc. May God unearth every one and destroy the corruption from those who use his name for financial gain. These false shepherds use their tax exempt status for all the tax free benefits and look at the money coming in as their own to use as they please. So sad! Very concerned that Ed took a gift from James knowing that major concerns about he – the ministry were very public. I suspect the same about there relationship. I actually wrote Ed S a letter recently about the money he charges for series on dvds. I asked him to pray about WHY so much. Once made there copied for pennies. Very concerned about how the church does business. Jesus talks about Money in the NT often. Lord please help us all to be GODLY stewards of your money. The truth is coming out Imo. Any charity that solicits tax deductible donations is making an appeal to the public for such donations. Charities should conduct their financial affairs in such a way that donors would have no objections to how their donations are spent. That’s really the intent of the law pertaining to 501(c)3 nonprofit corporations. Donors, don’t give any money to charities that don’t think this way. They lack integrity. It is very important to support your church financially, and if your church lacks financial integrity, you need to go someplace else. Game, set, match. Wow! Who has been auditing Harvest, and why were these practices not questioned? The pagan state university I spent my career with would have considered Harvest practices like this a misuse of funds that the state auditors would have caught. Clearly, there is arrogance and a total lack of integrity at Harvest, and, potentially other places as well. The congregation at Harvest needs to fire all leadership, and select new ones that meet biblical standards. They may have done some of that, but not enough. 1. Harvest is not the problem, it is an example of the greater problem with the Evangelical Celebrity Machine that has arisen in America, with Mega Ministries like Harvest drawing millions of dollars from local churches for organization membership, conferences, books, videos, sermons, etc., and also appear on each others radio programs peddling books and recordings, while at the same time, local churches are struggling to pay missionaries and other obligations, and the Mega Ministries misuse funds. 2. A larger question also concerns the ECFA, and their ability to discern finances. Many ministries and givers trust the ECFA for guidance about organizations worthy of giving to. If ECFA shows they cannot be relied on, that will have a great ripple effect throughout the evangelical world. Thank you Julie for shedding light on these practices, we all need to evaluate the organizations we support, and not just take the word of leadership! The EFCA visited Harvest in December, for one day, and after some back-slapping they gave Harvest a clean bill of health.That alone tells you the EFCA seal of approval is worthless. Yearly “audit” by Capin Crouse in Wheaton, IL. They need to answer for this, and then close. From what I understand, an audit is only as good as the information that is audited. If the organization being audited signs off, stating that it has given everything to the auditors, when in fact it has not, the auditors have no way of knowing there is another set of books. Of course, in that scenario, the organization has committed fraud, and someone could go to jail. And since it is hard to pull off something like that without collusion, multiple people could go to jail. I am not a financial professional. If my understanding is incorrect, someone please enlighten me. Captain Crunch should get out of the Accounting business and stick with what they do best, making cereal and kids happy!! You called out the inherent corruption and the likely understood “quid pro quo” that’s happening here. And thank you for standing with Wartburg Watch. This took a lot of courage to walk with the “randos”. Thank you for using your voice here. We lowly sheeple do not have that. Keep going!!!!! Praying for you and Dee!!!! Mike Wiggins, seems you are the one who is holding onto BITTERNESS. The TRUTH will set you free to all those who seek Truth. It was a total joke, it was irony. That’s why I put the little smiley face. I’m totally on Julie’s side on this, 100%. I assume you’re being sarcastic? I would hope so. Not sure how/why she would be bitter. And even if she was (which it would seem she is NOT), if there WERE no corruption, self-dealing, and influence-buying, and misuse of donated funds, then, bitter or not, she wouldn’t be able to find what is not there. However, there IS apparently a TON of “ROTTENNESS” in this whole mess. I’m glad SOMEONE is digging it up and exposing it to the light. Yes, totally sarcastic, mocking the typical attempts of some mega church followers who lash out at anyone who dares to expose inconvenient truths. I’m on Julie’s side on this. Mike, In chastising Julie Roys in reporting the truth, you are in agreement w/ JimmyMac to use church funds for material and personal benefits. JimmyMac has taken Scripture out of context and applied it according to his own interpretation. “Freely you have received; freely give.” (Matt 10:8) He does walk in the word. (lower case purposely) Just as Saul became Paul, new names for these JimmyMac converts should be Tricky Rick Donald, More More More Zachariah or Mohan Zacchaeus and Ed Sleazer. HBC is down $1.5M ending Q1. Please increase giving so Cadillacs rather than VWs be gifted . Harleys for all staff to form the HBC Angels to rival the Hell Angels and Canadian Goose outerwear for all HBC members to honor JimmyMac, Rick Donald, Jeff Donaldson and others Canadian roots. This is not to be derogatory to anything Canadian; I lived in Canada for 18 yrs, my wife and son are Canadian citizens. Rather thots from GJ; your friendly, neighborhood Good Humor Man. I think Jim McDonald should form a bike gang with all those people he gave Harleys to out of funds meant for God’s use. He should call the gang “Totally Depraved”. I think it’s the perfect name for a neoclvinist bike gang. Funny, because I used to be acquainted with some guys in bike gangs. The Bells Angels Minnesota Chapter and a defunct group from the lower Midwest called the 666s. Kid you not. Punch line is after listening to that behind the scenes MacDonald on those,audios Mancow played, those real bike gangers were actually more polite and less like crass, hateful bullies that the pastor of one of the largest churches in America. Danged shame, eh? “Bells Angels”. Funny. A bike gang, I guess, that rings those Christmas bells or something. Obviously, “Hell Angels” meant. Bitter? What grounds do you give for calling Julie bitter? That is not true – she is doing her job and people have come to her with their concerns which affect all of us – this “ministry” was heard around the US. This kind of thing is happening all the time and people need to be aware of these issues. Julie has done her research, is very intelligent and it has come at a very high personal cost. I have no grounds for calling her that because I as just being sarcastic. I think Julie’s doing the right thing. Uh, deaf. Though some Commenters sense of humor and wit apparently is dead. Do we not find that gifts of $20,000+ motor cycles and Rolex watches should not be the norm for those who call themselves servants first to the Lord and next to those they are responsible to shepherd? This is not about a root of bitterness, but the sin of pride and entitlement. It shall all be exposed. You do know that the word *bitter* is usually thrown out by abusive churches and their BFFs to shut up the messenger? I would suggest you read the book The Subtle Power of Spiritual Abuse. In the meantime, you need to clarify precisely why you *know* that Julie is bitter.™ Somehow, you are able to see into her heart and judge her motives. You need to leave that up to God and, instead, carefully make you claims in the matter. Document the proof of your words.. I hope Mike Wiggins is being ironic. (As opposed to being seriious). I am deeply saddened to write this but it seems that this HBC issue has turned into a “swamp.” Time to drain this swamp. I understand exposing sin, Apostle Paul did, however he didnt keep dragging on and on about it. He also told the Corinthians in the second book that if the man said he had repented to restore him. Who do you think you are judging repentance. God alone knows the heart. Also has it occurred to you this is harrassment and cyberbullying. Has it occurred to anyone how this might drive one of this persons family to get hurt because of despair. People have ended their lives out of despair.If you are Christian’s I sure dont want to be one. And I’m not connected to Harvest in anyway . What dont you read I cor 13. This goes beyound truth. You can try to justify it all you want but there is no God in any of it. Nonsense. You attempt to use the Bible to justify sin IMO. Hold on a second, Annette: Who has repented here? James MacDonald? Nope. The only two leaders who have confessed, repented, and are bearing fruit are ex-Elders Dan George & Mike Dunwoody. This is a public situation about sins that were committed by church leaders against both individuals and the church as a whole (not to mention against donors to other ministries under the HBC umbrella). Yes, God knows the heart. But here on earth, we can only know if someone is repentant re: sins if they name & confess those sins before the Lord AND to the people they sinned against. Again, not happening. God is absolutely “in” the full exposure of all sin. He continues to use Julie Roys and others to shine a bright light on the darkness where dirty deeds have long been hidden from view. Luke 8:16-17 says, “No one after lighting a lamp covers it with a jar or puts it under a bed, but puts it on a stand, so that those who enter may see the light. For nothing is hidden that will not be made manifest, nor is anything secret that will not be known and come to light.” We are in the midst of all things HBC & the mafia-esque MacDonald family being known and coming in to the light. Yes, it’s disheartening & maddening to watch this slow drip. I think you & I can agree this would be a heck of a lot easier if James and other church leaders would confess to all of it and come clean. Grace & forgiveness awaits when they do. Until then, God will not be mocked, and I’m grateful that He has given Julie the strength & wisdom to keep going. Excellent response to the above comment. And I agree, Julie is doing an excellent job. She cannot possibly enjoy hearing or seeing the mud she is exposing. Everyone….Please pray for Julie and everyone courageously persevering despite the threats. Annette, I understand your concern. It is probably very confusing for someone watching from a distance. However as someone who is connected I would extend forgiveness when repentance occurs. Maybe you don’t realize James has not repented. He has not addressed the flock that every week he said he loved. It’s been two months…nothing. So restoration really seems out of the question. He’s still fighting in concert with MacDonald loyalists behind the scenes to keep his Rabbi Trust money, his retirement money, and probably to protect himself from legal problems. Word on the street is that he has another phony confession and repentance act dialed up and ready, as soon as his checks clear. Wow. I’m glad that others did not consider the same position your suggesting when exposing the horrible sexual abuse in the Catholic Church. Bible verses, “letting it go”, and passive forgiveness didn’t help abuse victims, it was those who chose speak up and advocate for children that compelled the church to act. If you call taking a stand Cyber Bullying, then I guess that may be required. I imagine people who have been defrauded or feel disillusioned also likely face despair. It’s unfortunate that this circumstance presents difficult challenges for many – not an easy one to solve. James MacDonald and the rest of his crew have repented – many, many times over 30 years. Over and over and over for the same sins, and all the same behaviors continued. There has been no true repentance. Every time a scandal would surface James would go on sabbatical, claim he was “getting low before the lord” or confess to some general unspecified sin – but everything continued as it always had. If anything, he’s gotten progressively worse over the years. This isn’t “dragging on and on about it”… it’s continuing to say “No” to an unrepentant and flamboyant charlatan until they fall, and until all the others who were part of it fall, and until the church can stand in the Word again with Godly leadership again. I don’t think they should’ve dragged it out in the first place, Annette. Why does anyone have any right to say anything about a great man of God? You’re not going far enough with this, you should’ve really let them have it. Listen, James has every right to do as he pleases, I mean, HE built that church, HE saved all those people. So what if he gave away thousands in gifts to his friends out of church funds and pocketed millions and lived in a mansion with a 10 car garage and drew $25K a month for travel expenses and ran the church $40 million in debt and talked like the crude town drunk behind the scenes and bad-mouthed everyone he’d ever worked with and cussed like a sailor and recently went back to Harvest in an attempt to extort another few million more out of them? Well where would any of them be without James? I mean, that was the guy who made Jesus famous in Chicago! And around the world! Jesus would not have been famous except for James MacDonald! And even if James MacDonald did sin, what about King David and that infidelity and killing? What about Peter chopping ears? What about Jannes and Jambres? What of forgiveness? Why can’t these people just learn to forgive? Does the word “forgiveness” show up anywhere in their Bibles? Why they’re just all jealous of James and his mansion and cars and Rolexes and all those wonderful words that just come bubbling up out of him, especially in those Mancow audios. They’re just jealous. And slanderers. And bitter, like I said earlier. A 1971 Beetle that needs a restoration, for THIRTEEN THOUSAND DOLLARS!!!??? Come on car guys, something is wrong here. A 1971 Beetle that needs to be restored could possibly be a negative gift – pay somebody to haul it away! Keep up the good fight for truth & light. I think Mike was speaking in sarcasm. First, he put a smiley face at the end of his sentence. Second, calling someone “bitter” in the Christian world is a regular tactic to get them to shut up . It seems he was throwing the term out there as a joke before one of the Harvest fan club did in seriousness. I do not understand why people continue to respond with foolishness. The Mcdonalds(father, wife, and sons) have been exposed, and I thank God for the truth being brought to the light through Julie Roys being brave enough to do so. Quite saddening so called leaders of the church kept silent as the Mcdonalds kept stealing. Shame on the leaders who knew what was happening yet kept silent. As believers, we have a responsibility to call out sin. Calling one another out is not to shame but to repent and grow towards the Lord. I personally do not want cookie cutter Christians in my life who are not brave enough to call me out on my sin. No one is asking the Mcdonalds and Harvest to be perfect. We only want the truth to be brought to the light so we can trust the leadership. At this point, I have lost complete trust in Harvest’s ability to lead properly and have decided to leave. A member of the church for almost 14yrs and I can no longer sit and wait. Dan George (previous elder of Harvest), the congregation accepts your letter of apology. At the same time, please do not respond on the blog with comments regarding elder brd who are at Harvest. No, I am not defending them. I just think it best you fade away now and live your life. As a soon to be ex-Harvest member, I believe it’s best for us you do so. Thank you Julie Roys, I believe you are a God send!!! Amazing what and who falls out when you shake a rotten tree. Someone(s) needs to go to jail. There needs to be a full blown criminal investigation into James MacDonald and all of his ministries. The embezzlement, misappropriation, and flat out theft that has been exposed is disgusting. Christians give to support the work of Christ. Wolves in sheep clothing, pretending to be pastors, are stealing the money and spending it on their lavish lifestyles. There seems to be a corrupt political machine within evangelicalism that is being allowed to run unchecked. God bless you, Julie. I pray for you. The blowback you must receive cannot be easy. I pray for your protection and God’s strength to help you continue to expose corruption. 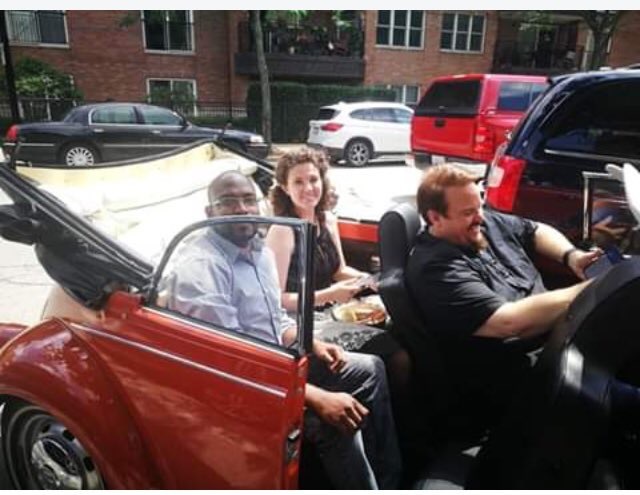 If most people’s pastors tossed money from the offering plate around in quantities that buy Rolexes, Harleys, jewelry, and other cars like James MacDonald did, they’d leave and the church would collapse. Of course, that’s why they have the black budget and why Harvest will never open the books – because they are concealing massive amounts of malfeasance at best, and possible massive amounts of fraud. Seems to be another example of something that has been ongoing for quite some time. It is to the point that it is hard for most to recognize. As an example, a young person asked me recently “That there are those whose teaching we are led to believe might be questionable, is it validated to some degree when other teachers whose teaching are considered acceptable, share the same platform?” The issue, the mutation and cross pollination of the American prosperity gospel into the American church. 12 After Rehoboam’s position as king was established and he had become strong, he and all Israel[a] with him abandoned the law of the Lord. 2 Because they had been unfaithful to the Lord, Shishak king of Egypt attacked Jerusalem in the fifth year of King Rehoboam. I see a very public perp walk and orange jumpsuit in the not too distant future for JM…possibly with other enablers. The filth of the evangelical industrial complex needs to be outed and the self perpetuating infrastructure of the celebrity brotherhood burned to the ground. Rock on Julie. You are the Lord’s journalistic blowtorch of truth. Actually Hawkeye it will be burned in the Lake of Fire in the not too distant future. By the way, speaking of burning, It really “burns” me when well meaning “Christians” (quotation marks because who really knows these days) talk about these HIRELINGS and their need to confess AND repent. (please notice the period , it’s right there after the word repent) THERE SHOULD BE NO PERIOD , there should be ……AND MAKE RESTITUTION !!!! Restitution definition: 1. the return of objects that were stolen or lost: 2. payment made for damage or loss: 3. payment for damage or loss of property, or the return of items stolen or lost. My Father in Heaven knows every penny of every dollar of the over $500,000,000 taken in over the course of time by the harvest corporation and He would know exactly what the actually true restitution amount would be including the times 4 part from Exodus 22:1. Now ,do you think that jimmy canuck and the that really dark and evil rick and the rest of the hirelings could ever make that pay back? THE ANSWER IS NO THEY CANNOT. I am extremely grateful for Julie’s reporting; her integrity has been evident for years, and she continues to report fairly even though she has been directly harmed. I am also in awe of The Elephant’s Debt writers who were steadfast in the midst of taking so much grief for so many years with little to show for it–the example of Joseph comes to mind. My eyes have been opened to so much because of them, and what I’ve learned has “connected the dots” for me regarding the condition of the American church. I think it’s very important to probe the larger “Christian” money machine which is now being exposed. And yes, many leaders have much to answer for, both within Harvest and across the Evangelical landscape. None should escape. But to get the full picture, and to fix it, we also have to look at how we, the pew sitters, feed it, and how even well-meaning churches blindly buy into it. Why do we aggressively advertise men’s ministry events where a celebrity is the featured speaker? Do football players inherently have more to say to men about faithfulness and integrity than a janitor or a teacher? Are we afraid Jesus isn’t enough of a draw, so we have to offer a full-blown shopping boutique at a women’s event? We are purposefully creating a culture of celebrity and consumerism within the church, so that when it gets out of control we hardly notice. Why is everyone so obsessed with leadership skills? Why are we not training people to be the right kind of discerning, mature followers? Aren’t we all, “leaders” especially, supposed to be followers of Jesus and servants of others? Instead we give up our responsibility to be the hands and feet of Jesus and turn it over to professionals, and then are surprised when some lord it over us. Why have we allowed worship to become a show? Recently I was in a different church while traveling, and realized how refreshing it was that the lights were on and I could feel connected to the other people worshiping, like I used to feel when I was growing up. The people up front just played and sang without calling attention to themselves. Back home this week I noticed that in the dark sanctuary with the light show going on, the only thing commanding attention was the stage. I could go on about how so many of us flock to huge churches without a thought about how that leads to a lot of money being concentrated in a very few hands. Or why we give to ministries where the leader takes an exorbitant salary. Or why we admire pastors who write books and give speeches but don’t actually pastor. Or why we are so quick to put great stock in the right words but excuse blatantly evil behavior when the Bible virtually screams at us to do the opposite. And on and on. Until we each take a look at our culpability in the problem and our responsibility to act, how can anything change? While I agree that there may well be criminal aspects that need to be prosecuted in the case of Harvest, what does it say about the church universal that we need the secular government to investigate our mess?? Do we really want to invite an increasingly hostile culture to regulate our churches? How are we to be salt and light when we can’t even drag the most obvious things out of the darkness? As for leaders, if you want to be called leaders, then lead. Tear down the high places. Even if they’re yours. Or your friend’s. Even better said—“The time will come when men will not put up with sound doctrine. Instead, to suit their own desires, they will gather around them a great number of teachers to say what their itching ears want to hear” (2 Timothy 4:3). One thing that should be mentioned is the masculine exalting culture fostered in too many evangelical churches. Don’t think that things like labeling big donors “Mighty Men” don’t have a not so subtle effect on fostering pride.